Connie Glenn | Montgomery Alabama Real Estate - Search Over 3,000 MLS Homes for Sale or Rent in Prattville, Millbrook, Wetumpka & Montgomery, Alabama. A native of Montgomery, Connie knows the Tri-County area like few others. After marrying 37 years ago, Connie and her husband, Randy, moved to the Elmore and Autauga areas. Here they have raised three wonderful children in the Elmore and Autauga County School Systems. 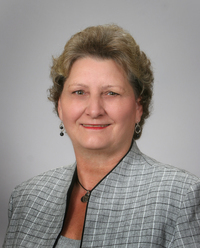 Connie plays three important roles on the CENTURY 21 Southern Star Team. Not only is she an award winning Top Producer in sales, she is also a Certified Military Relocation agent and an REO Foreclosure Specialist. Connie has nearly 22 years of Real Estate experience and knows how to make buying, selling or renting a home painless and trouble free. Call Connie today! She is waiting to take care of all your Real Estate needs.